Multiple pages of a Massachusetts lawsuit against Purdue Pharma are almost completely redacted for public viewing, but a Monday ruling is set to change that. Judge Janet Sanders of the Suffolk County Superior Court ruled Monday for the complete document to be released because of a motion filed by media organizations. Some of the media outlets include STAT News, the Wall Street Journal and the Boston Globe. 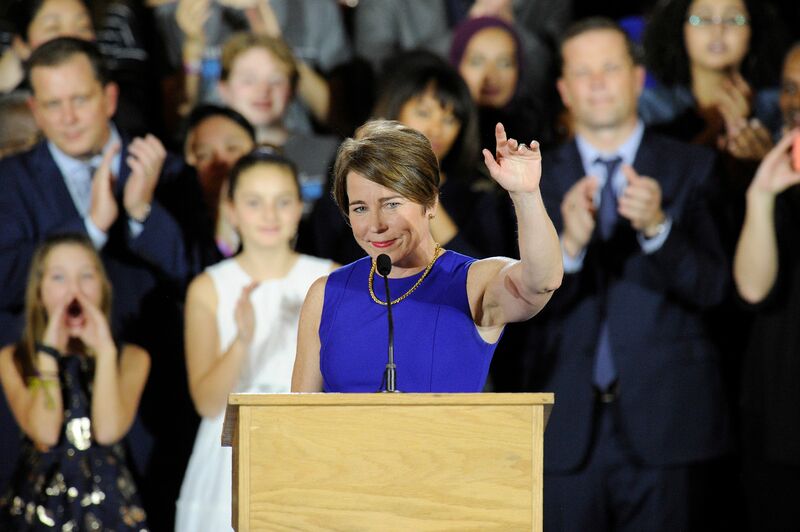 The lawsuit first filed by Massachusetts Attorney General Maura Healey in June asserts that Purdue Pharma and members of the billionaire Sackler family, who own the company, covered up the addiction risks of the moneymaking opioid OxyContin. 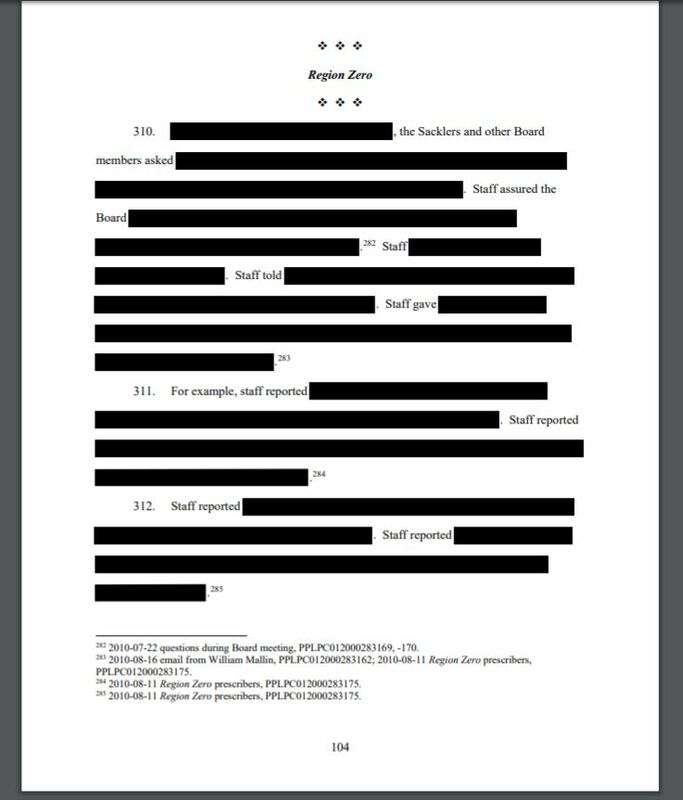 But much of the information in a nearly 300-page Jan. 15 filing is redacted for members of both the press and public. That includes numerous pages about former sales vice president Russell Gasdia, emails from Massachusetts sales representatives and what appear to be quotes from executives about “aggressive” sales strategies. The complete document could also “shed light on … how much money company executives made,” according to STAT News. At a court hearing Friday, Purdue’s attorney had tried to argue that releasing the full complaint would interfere with the collection of company documents in a separate legal case in federal court in Ohio. There, lawsuits from hundreds of tribes, cities, counties, and other states against Purdue and other opioid makers have been bundled together. Purdue said the Massachusetts court should wait to decide what it would make public until authorities in the federal court had determined what company documents they would release and what they would determine was confidential. The contents of the Massachusetts filing were made partially public on Jan. 15. Critics of Purdue Pharma, which aggressively marketed the painkiller OxyContin and has been accused of starting the U.S. opioid crisis, pounced on never-before-seen emails from former executive Richard Sackler. The Sackler family escaped legal consequences even as Purdue Pharma executives pleaded guilty in 2007 to charges that the company had misrepresented the risks of OxyContin, reported The New York Times. The company and three top executives paid a historically huge $634.5 million in fines. At the OxyContin launch party, Richard Sackler spoke as the Senior Vice President responsible for sales. … He said: “the launch of OxyContin Tablets will be followed by a blizzard of prescriptions that will bury the competition. The prescription blizzard will be so deep, dense, and white….” Over the next twenty years, the Sacklers made Richard’s boast come true. Richard Sackler stepped down as president in 2003, and other family members were out of company operations around the time of the 2007 lawsuit, but the Sacklers still had major influence over Purdue Pharma, the filing claims. Healey spoke out about the state’s lawsuit against Purdue Pharma and members of the Sackler family in an interview with CBS News Thursday. Purdue Pharma has been accused of helping create the opioid crisis through its aggressive marketing of its products. More than 40,000 people died of opioid-related drug overdoses in 2016, according to the National Institute on Drug Abuse. Nearly half of those deaths involved legally obtained prescription medications, according to the National Institute for Health Care Management. The opioid crisis is taking a substantial toll not only on drug abusers but on their families, including newborn babies who are born addicted to opiates and grandparents who use their retirement savings to raise their grandchildren.